Children collect clean water at a pump in Yida Refugee Camp. Photo by Katie Barber. “When I was in Yida Refugee Camp in 2012, there was hardly any infrastructure, much less clean water sources. Preventable diseases were definitely a concern back then. Visiting Yida again in 2016, it was amazing to see clean water available throughout the camp and people smiling as they drew water.” -Mark Hackett, Executive Director of Operation Broken Silence. Mark recently led our expanded film team back to Yida Refugee Camp. Yida sits right on the international border that divides Sudan and South Sudan. The camp has exploded in size with refugees fleeing from the Nuba Mountains of Sudan due to widespread government attacks against unarmed communities. When Mark first visited Yida in 2012, the camp hosted around 15,000 people. Today, over 70,000 people call Yida home and more refugees are arriving daily. Our film team recently spent several days in Yida shooting our 4th social action documentary film about the crisis in Sudan and the amazing people living through it. One of the great joys of filmmaking in Sudan is the sheer number of moments like these you get to capture. Despite the deplorable human rights situation in Sudan, progress is being made to change and save lives despite the virtually always negative news and information coming out of Sudan and the refugee camps. 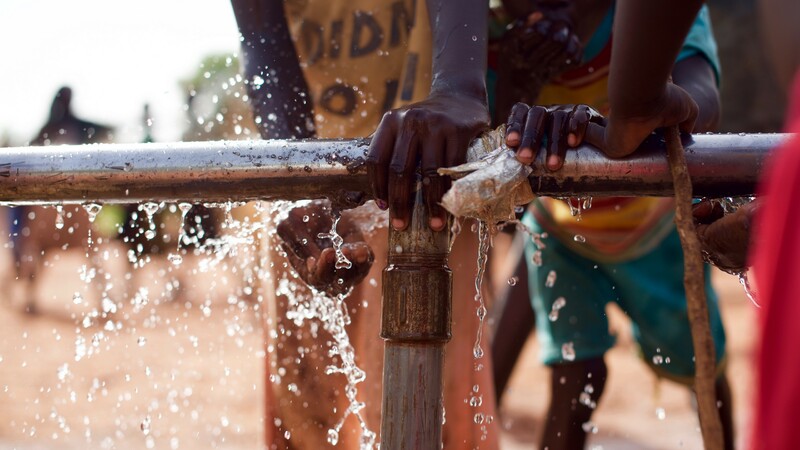 Clean water in Yida is just one of many overlooked ways international organizations are supporting the Nuba people. The people of Sudan are overcoming two of the greatest challenges facing humanity today: war and genocide. Operation Broken Silence is working to accelerate their ability to generate lasting change through storyelling and movement building, education and emergency response, and grassroots advocacy programs. The best way to support the people of Sudan is to join The Renewal. This is an automatic monthly giving program that directly supports our storytelling and movement building and education and emergency response programs in Sudan. It’s like your monthly subscription to a video, music, or internet cable service, but it empowers the Sudanese people! Operation Broken Silence is a registered 501(c)(3) nonprofit organization. Your gift is tax-deductible within the guidelines of U.S. law.